Pamper yourself in this unique niche of luxury. Inspired by the superlative beauty of the rising moon, Rising Moon Cottage reflects the poetry, grace and romance of a moonlit night. Harness the energy of the rising moon and discover your deepest creativity. Sophisticated and charming, indulge in the ultimate of modern amenities, plush beddings and antique furnishings that anticipate your every desire. Exquisite Zen inspired decor with simple elegance, hints of Korean ancestry and noble design, is the essence of Rising Moon. Our signature gourmet breakfast replete with sumptuous local specialties and fresh delicacies caters to the finest palette. After a day of lava hikes, renew in supreme relaxation. Luxuriate in plush robes, steaming hot tub, private massage. Escape into the magic of an afternoon nap or private yoga session. Savor exotic tea blends in a gentle garden setting where whispers of Zen, delicate water features and peaceful stillness calm the mind. Silver rays of the rising moon illuminate the soul on a perfect night. 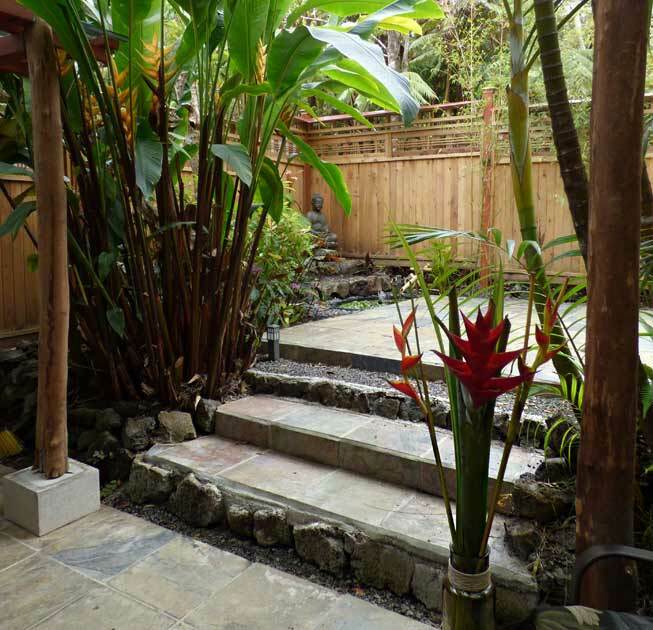 Rising Moon Cottage is a hidden gem designed for reconnecting with the sacred in all of life. A perfect writing retreat in the lap of luxury. Awaken your inner muse. Ideal for singles and couples. Please call for discounted rates for 3 nights or more.